The most common types of ice used in alcoholic drinks are service ice, method ice and crushed ice. All types of ice should be nothing more than the purest water available, in its frozen state. Service ice should be cut or molded in the shape of true cubes that are about 1¼ inches per side. That size has a volume equal to 1.08 fl-oz. This size is advantageous for the purpose of predicting the total voluminous capacity that a service vessel should have to hold both the total liquid volume of the drink (including any method-related dilution) and the service ice, itself. Method ice (a.k.a. cracked ice) was historically made by cracking service ice in half. Method ice should thus be in the shape of cubes that are about half the size of service ice. This smaller size of cube has a greater relative surface area which is desirable to achieve the proper chill and dilution when stirring or shaking mixed drinks. Crushed ice can be produced by crushing method ice with an ice mallet and canvas bag, a Swing-A-Way-type crusher or an electric crusher. Both stirring and shaking of liquid ingredients with ice will yield many similar results. Both methods will mix, chill and dilute the other liquid ingredients. Shaking will accomplish these ends more quickly, so stirring should be done longer to achieve similar results. Shake hard, stir long. The mixer should be aware that when ‘stirring’ or ‘shaking’ with ice, more water will be added to those drinks made with overproof liquor than to those made with the same amount of underproof liquor. This can affect appropriate selection of service vessels. Dry shaking and dry stirring is done without ice. The dry version of either method is used when such mixing or aeration is wanted – but not any additional dilution. Carbonated ingredients (such as Champagne wine, beer, soda water, etc.) should almost never be among the ingredients of a drink that are shaken or stirred. That is because they will be flattened by either method. In many cases, drinks that contain these ingredients, but that should also be stirred or shaken, will have the other ingredients stirred or shaken before being combined with the carbonated ingredients. Stirring and shaking of the same ingredients with ice will yield some different results. A shaken drink will be much more aerated than a stirred drink. Grogs – Grogs should only rarely be subjected to the ‘shake’ or ‘stir’ methods. Though some grogs are accented by a little juice, it is the condition of the water that is key. In cold grogs, the carbonated water or soft drink should be chilled prior to mixing. Hot grogs should have their water (or brewed coffee) heated separately before mixing. Slings – Though not all slings are stirred with ice and strained, none of them should ever be shaken. In all slings (including true cocktails, of course), it is just as important not to bruise the alcoholic base as it is not to crowd it with too much other stuff. In slings, the strong element should be the star of the drink. Stirring can harmonize the other ingredients with the strong element, without suppressing its character. 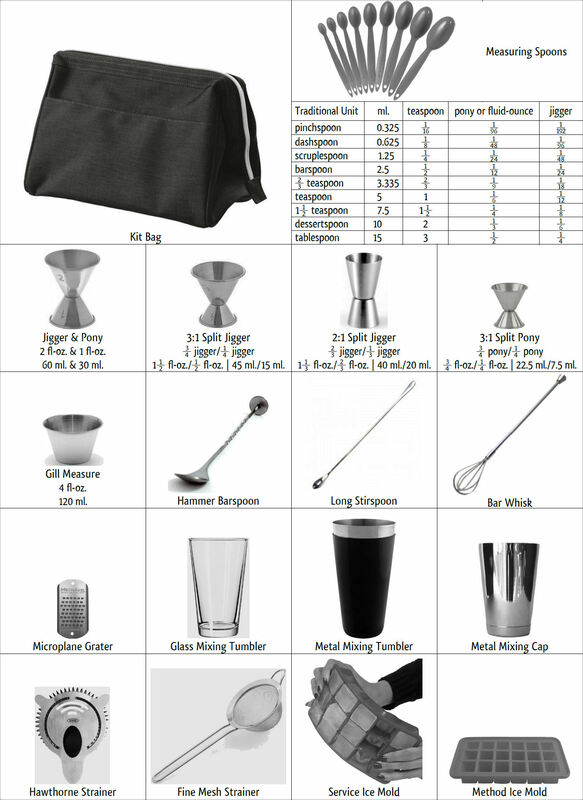 When a sling of any type is shaken, the liquor will be so aerated as to drastically alter its mouthfeel. To say the the ‘velvet’ of the liquor has been ‘bruised’ is the traditional parlance for this undesirable effect. To demonstrate the real effect of bruising, make two Martini Cocktails, but shake one of them instead of stirring it. Taste the stirred one first, and then the shaken one. That is what bruising tastes and feels like. 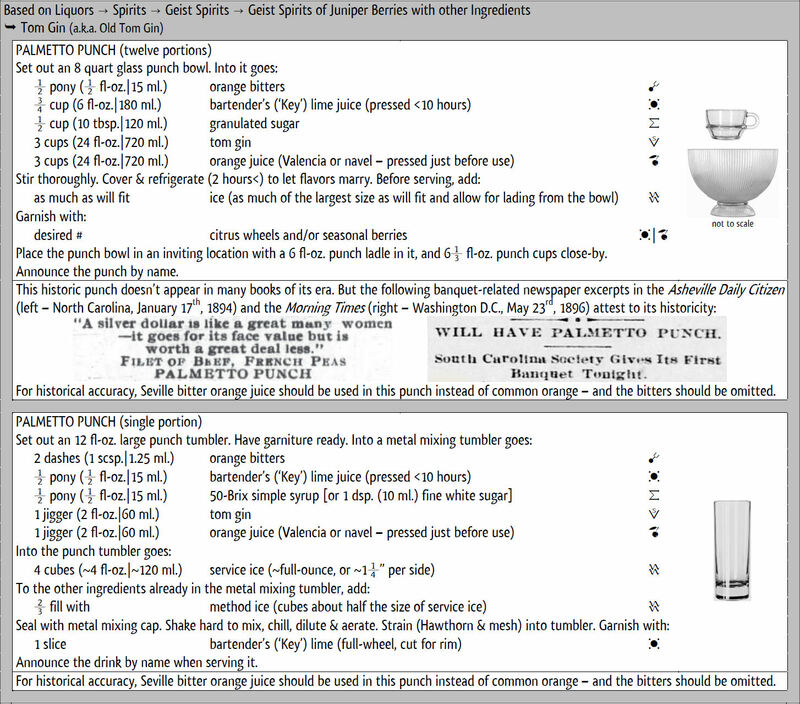 This same test may be done with the orange-juice-accented Bronx Cocktail from 1908 – one properly stirred and the other one shaken. Tasting that difference will elucidate why it is not always best to shake a drink just because there is a little citrus juice in it. Possets – Virtually all possets that are served cold should be shaken. By their nature, possets are led by the thick element. The thick element can benefit from the emulsification of shaking. Possets also generally require shaking to fully incorporate the other ingredients into the thick element. Punches – Virtually all punches that are not made in bowls or batches should be shaken. Harmony may be key for slings, but balance rules punches. Aeration can help put all of the other elements into balance with the strong element by suppressing it a little. That is desirable, since the balance of sour, sweet, strong and weak elements should be the staring feature of any punch. Blossoms – Most blossoms should be shaken to balance the strong element with the succulent element. Juiceballs – Juiceballs should only rarely be subjected to the ‘shake’ or ‘stir’ methods. In juiceballs, it is the condition of the juice that is key. The juice should not be diluted by shaking it with ice to make it cold. Instead, it should be separately chilled before mixing.